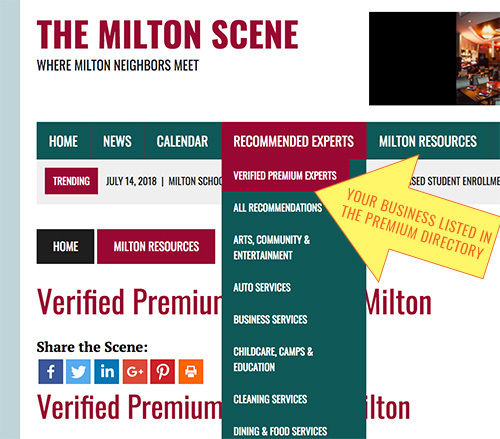 Businesses included in the Business Directory of the Milton Scene have the opportunity to upgrade their listing to premium. 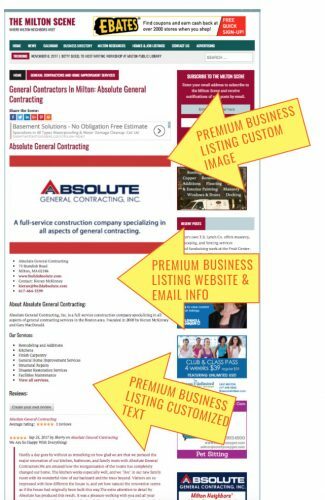 A link to your business’s website. A link to your business’s Facebook page. A link to your business’s Twitter profile. A link to your business’s Instagram profile. Up to 150 words describing your business (you need to provide this text). 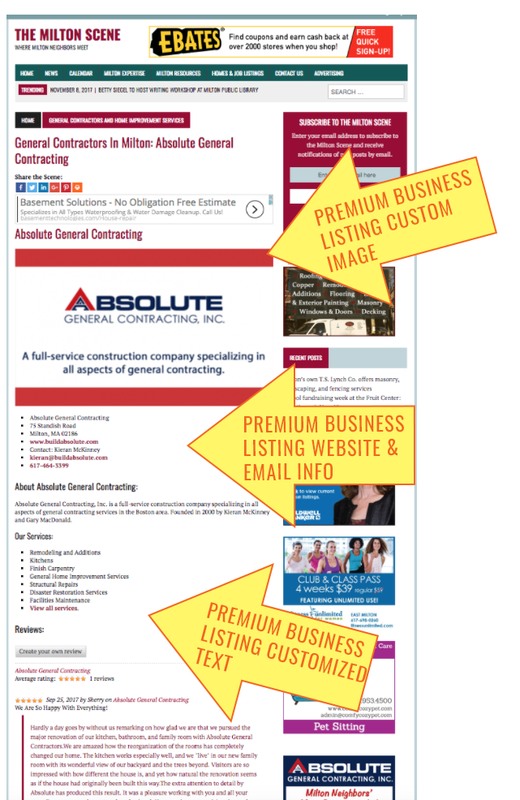 Custom image (size: 777 px x 437 px) with your business name and/or existing logo. 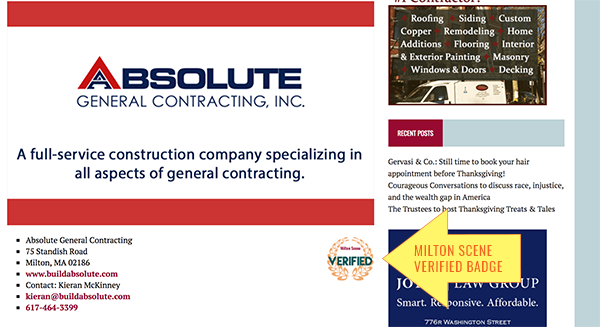 Your business name in our Verified Premium Business listing directory. 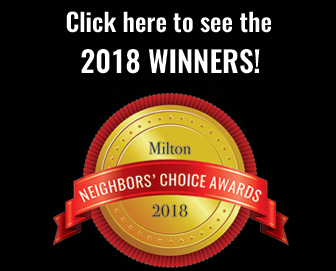 Periodic shout-outs of of your Premium Business listing to the Milton Neighbors Facebook group, the Milton Scene Facebook page, and the Milton Scene on Twitter. Optional additional Social Media Shout-outs also available! Let us SHOUT OUT your business to the local community via our active social media channels! 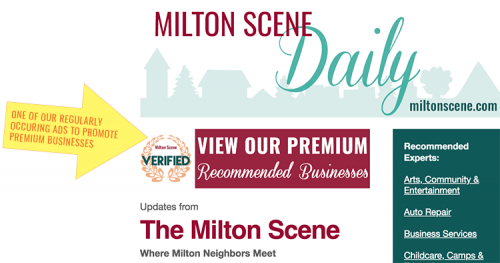 We can be reached via email at ads@miltonscene.com or call our ads manager at 857-323-1033.
Business listings are auto-billed regularly at the original interval you order. 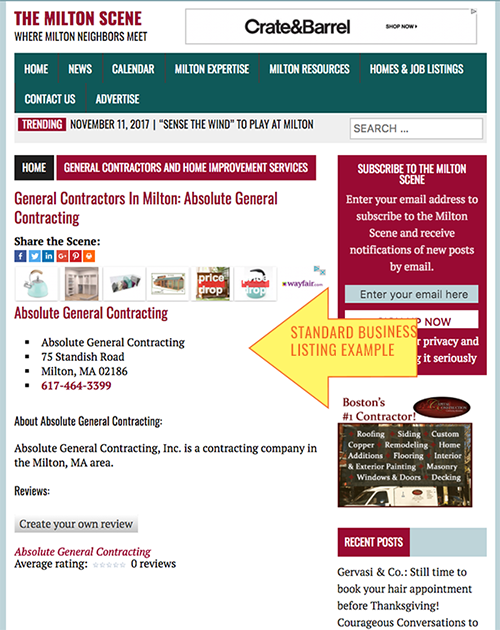 Should you wish to discontinue your business listing or if you have any questions, please email ads@miltonscene.com. Free basic business listings are also available. Sign up for your free basic business listing here. 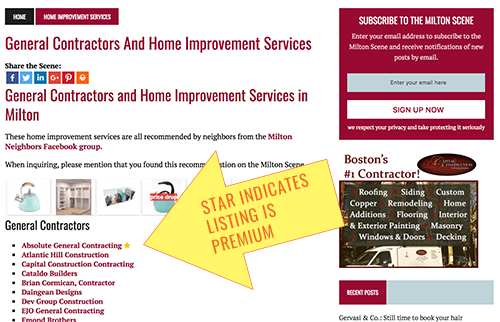 Premium Business listings are included on our Verified Premium Experts page, which we promote heavily! 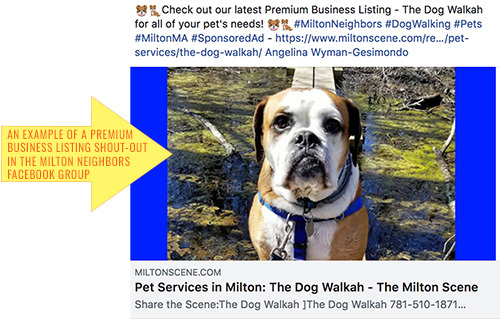 We promote our premium business listings with regular shout-outs to the Milton Neighbors Facebook group the Milton Scene Facebook page, and the Milton Scene on Twitter.